Sushma Swaraj has met heads of states of three of India's neighbours Afghanistan, Bhutan and Bangladesh. External Affairs Minister Sushma Swaraj is leading a high- powered Indian delegation in New York. New York: External Affairs Minister Sushma Swaraj on Wednesday called on Afghanistan President Ashraf Ghani and discussed issues of mutual concerns, situation in the region and bilateral ties. "Boosting strategic partnership with a special friend, External Affairs Ministry spokesperson Raveesh Kumar tweeted after Ms Swaraj called on Mr Ghani on the sidelines of the UN General Assembly session. As part of Prime Minister Narendra Modi's 'neighbourhood first policy', Ms Swaraj so far has met heads of states of three of India's neighbours Afghanistan, Bhutan and Bangladesh -- in New York. Ms Swaraj is unlikely to have a bilateral meeting with her Pakistani counterpart Khawaja Asif. 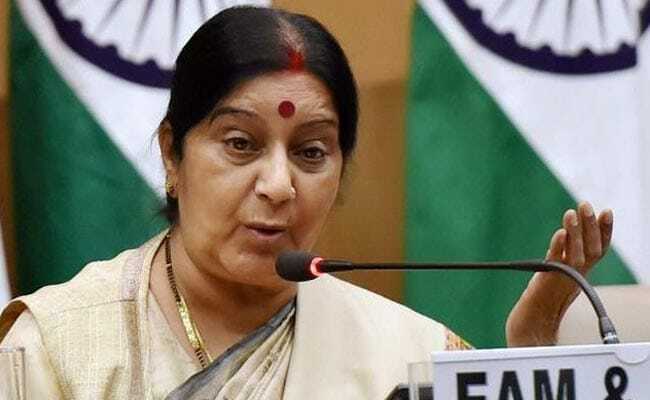 During her week-long stay here, Ms Swaraj, leading a high- powered Indian delegation, is expected to hold about 20 bilateral and trilateral meetings with leaders attending the session.